The role of social media in SEO and the question whether SEO is impacted by social media at all is often debated. This section will briefly sum up if and how SEO is impacted by social networks and go over instantly implementable best practices that are proven to be effective. The role of social media within a marketing strategy is changing. When people refer to SEO, they more often mean marketing online in general. 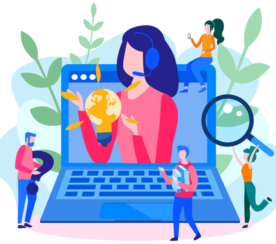 If you have started to dive into the world of digital marketing, you already know SEO is not a term that encompasses all kinds of online marketing, but one of many significant online marketing streams. All of these different streams impact each other directly or indirectly. It is important to understand the differences because the importance of the role of each of these streams has changed over the years. To understand what role social media plays now and where it’s going, let’s have a look at how we got here. A couple of years ago, it was widely assumed that social media marketing and social media optimization impacted SEO directly and even well executed SEM and PPC campaigns could increase page ranks. Businesses and agencies globally integrated their social media efforts with their SEO strategies to help Google’s algorithm recognize quality content, popularity, and influence. Companies ran campaigns for keywords they wanted to rank higher for. While not all marketers agreed there was a direct influence on ranking, it certainly was supported by many. Especially after a video aired in December 2010 stating that social signals were a factor when it came to ranking. Interestingly, the same person from that video, Google’s Matt Cutts, released a video three years later that stated that Google’s algorithm does not pick up on social signals to determine the page rank (Source: Kissmetrics). Google stated in 2013 that its algorithm doesn’t pick up on social signals. I think that is still the case because Google says it doesn’t have the capacity to index all social media posts. This means Google does not index everything that is indexable. We do know that profile and page URLs are frequently showing up on the top of the first page of Google, so having social profiles and choosing the right profile and page names are important for SEO. Additionally, social networks are search engines, too. 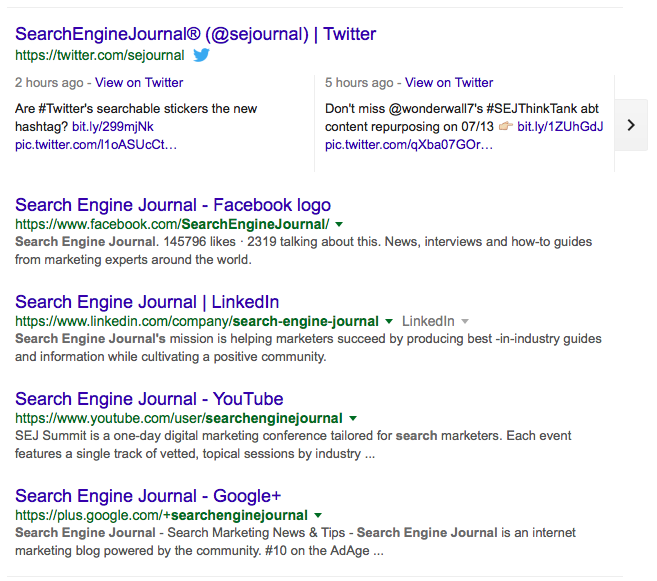 You can search for tweets on Twitter and use Facebook to find businesses, products, and service providers. Instagram is a great sales generator for industries such as fashion, beauty, food, and fitness just to name a few. Let’s not forget about YouTube. In each case, chances are a potential customer will check out your social profiles and pages sooner or later and they typically show up – you guess it – in organic search results on Google. What you post on social does get indexed on top of the first page on Google if it is popular enough at the right point in time. 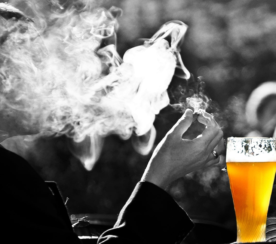 This is often referred to as featured social posts. You are already familiar with featured content, for instance, the latest news articles or Wikipedia extracts that show up on top. You can optimize a social media post by inserting the respective keyword and publishing it at the right point in time or getting a lot of traffic at the right point in time. Keep in mind that Google doesn’t have the capacity to index all social media updates, but that doesn’t mean they aren’t indexed. With access to Twitter’s firehose, Google can see tweets in real-time – which is important when it comes to the timeliness of posts. Social media posts are your ticket to dominating your local area. You can check-in to locations with Facebook, post Instagram content at a specific location, and even be selected as one of the few people to live stream an event for Snapchat. Post engagement – meaning getting comments, likes, shares, or clicks – is essential here. Luckily, it doesn’t have to be organically generated engagement, so you can push this with ads if you need to. Let’s have a look at each of those pillars and see how to apply these to your business. 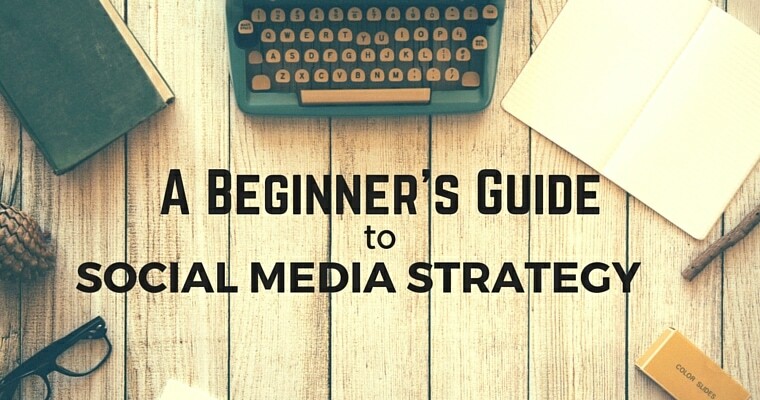 The first step when setting up a social media strategy is to connect with your audience on the right platforms. To do that, you first need to determine who your audience is. No guessing, no assuming. Get the stats. 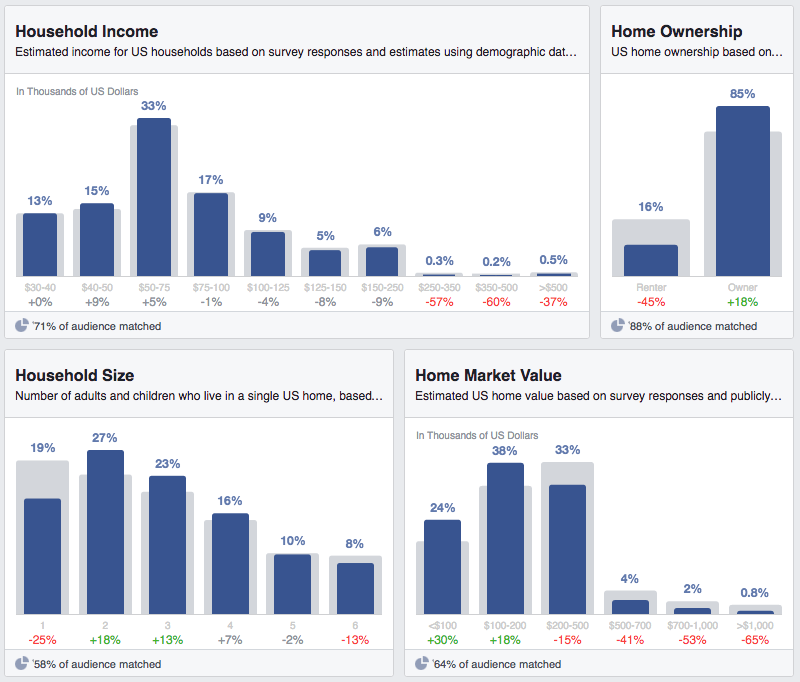 You can use any analytics tools you have to figure out who your audience is. A common mistake is to limit yourself to one customer profile, e.g. mostly 25-45, male. 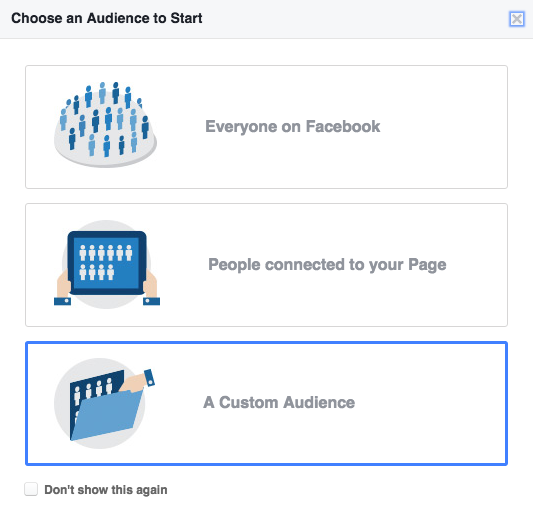 Instead, use Google Analytics and Facebook Audience Insights to figure out who your audience is. Ideally, you are looking to define three to five customer profiles. 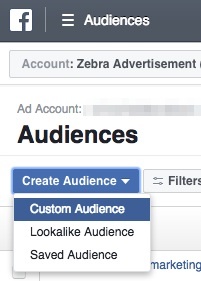 This does not mean all of these are part of your ideal target audience, but typically this is the amount you will find if you are looking into who your existing audience is. 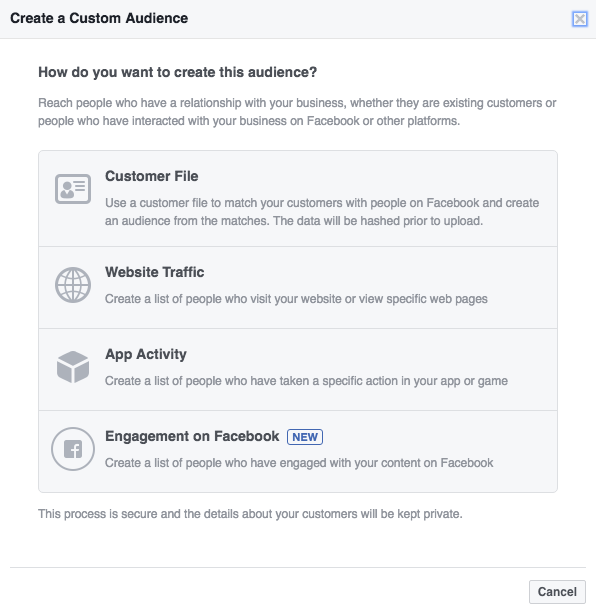 The trick here is not only to look at who likes your page but to plug-in conversion data. 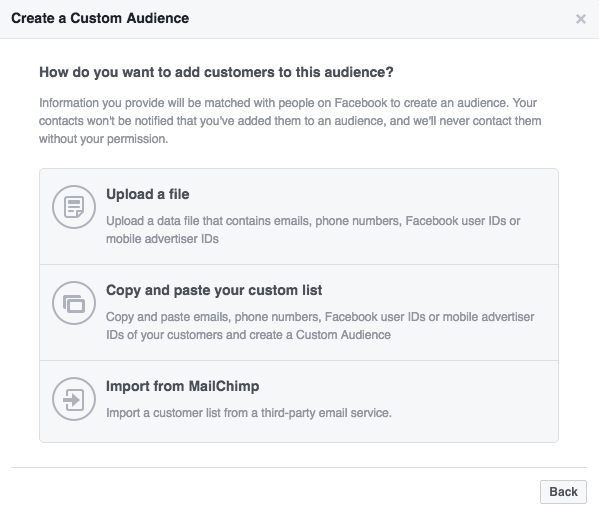 For instance, you can upload a list of email addresses you retrieved from your newsletter subscriptions or customers’ accounts and Facebook will cross reference those with email addresses linked to Facebook profiles. It’s possible that you don’t like the results of your audience analysis because it’s not who you were looking to target or you don’t have an audience yet because it’s a new business. In this case, knowing who you would like to target in the future is essential when choosing the right social media platforms. The first question to ask yourself is how many social media profiles and pages you want to manage in total. If you are a startup or small business, my recommendation would be three to five. If you have the funds and time to manage more, my recommendation would be 8 to 10. When deciding what social media platforms, start with the core platforms and add other platforms based on the content format they feature. Different platforms have different advantages. For instance, Google+ pages show up in organic search results with your location on Google maps on the right-hand side of the first page of Google. 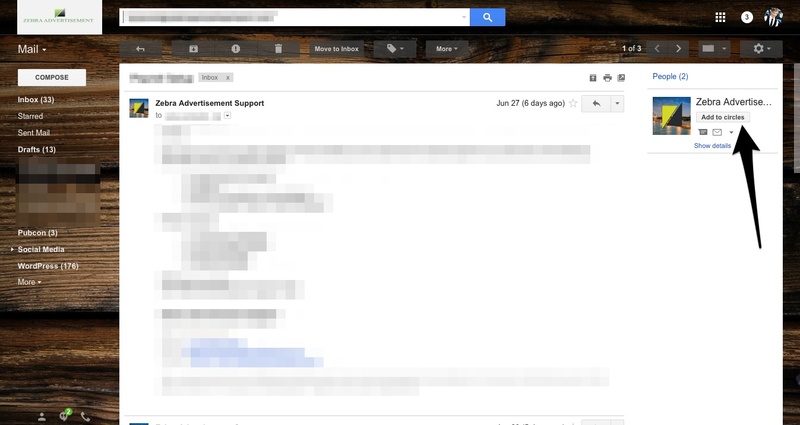 Additionally, if you are using Gmail or Gmail for Work, your page will show up next to emails with a follow button or your latest updates. Having a Facebook page is a must, not only because people use Facebook as a search engine to find products and service providers but also to get reviews. Facebook reviews, as well as Google+ reviews, are great for social proof. 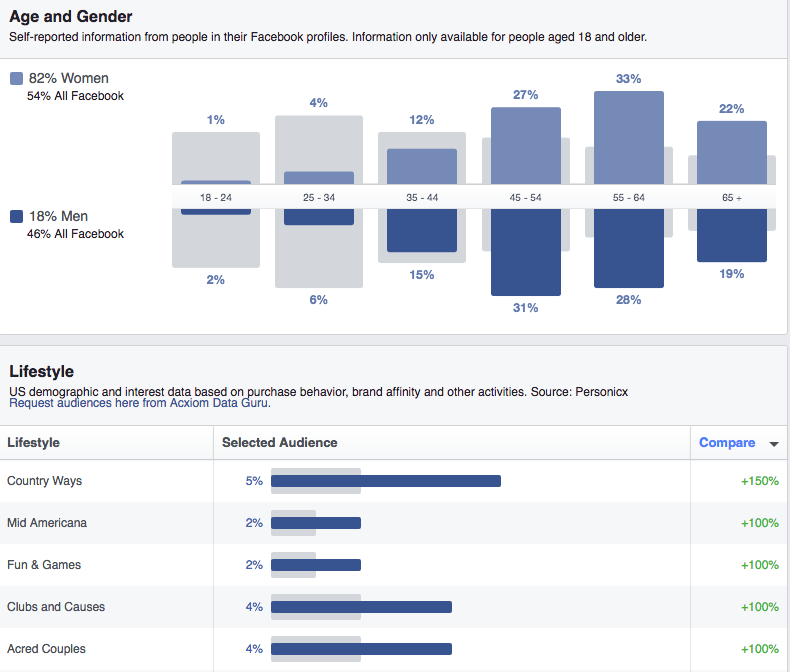 Additionally, Facebook gives you detailed demographic insights as we’ve just seen in the Facebook Audience Insights tutorial. When choosing a social network, you should consider what kind of content you can produce, what content format would be most useful to your business, and where your audience is. Of course, there are many more social networks, and depending on your type of business and target audience, the core platforms may be different. You should review all major social networks as well as smaller ones if they offer you exposure or traffic in a relevant niche. Social media is always a two-way street. You connect with your audience, and they connect with you. You communicate with them through your content and timelines just as much as they communicate to you. This means there are two components to communicating on social, one requires us to listen to what our customers have to say, and the other one requires us to stay true to the brand and communicate clearly. One way to make sure your timelines are on point is to determine what the goal of using each platform is. For instance, are you looking to increase brand awareness or sales? Are you attracting new customers or increasing customer loyalty? The communication on each social network should adapt to your respective goals. Your brand should be represented visually every time you post something by using your brand’s HTML color codes, related colors, characteristic filters, and other things that help followers or potential followers identify your brand. An important part of creating a social media strategy is to create a publishing plan so you get an idea of how frequently what content will be published where. Based on that, you can then estimate how much and what kind of traffic that generates. Things to consider when creating a publishing schedule are the time you share the content and the format. When scheduling your content, consider the content turnover within the respective platforms. Twitter, for instance, is very fast paced and it’s up to you to make sure your content gets attention. Social networks like Pinterest and Tumblr, on the other hand, allow your content to resurface again so the content turnover is slower and in repeating waves. Depending on what content formats you know you can regularly generate, you can then think about how to distribute the content on the social networks you selected. For instance, do you want to adjust the image dimensions for each platform or do you want to repost the same image regardless of how it will look? If you can only choose one dimension, my recommendation would be to use the Instagram dimensions. They look great on all platforms and the square format is both mobile and desktop friendly. The best social media strategies not only consider where the market is at but look forward to where the market is going. It is no longer enough to discuss the impact social media is having on SEO. Social networks like Facebook are more and more being treated like search engines, which means that SEO will soon have to be applied within social networks. Additionally, SEO is moving more towards intent driven rankings and searches rather than determining where things show up based on just one keyword. Long-tail keywords and the intent behind the search matters more now than ever. You can adapt your social media by including long-tail keywords in titles and content, as well as offering formats that are easy to read. 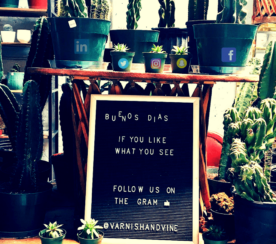 For instance, vertical content is ideal for Pinterest, Snapchat, and most social mobile apps, while horizontal content looks great in a Twitter and Facebook desktop feed. Overall, the more engagement you can generate with your content, the higher you rank and the more you learn about your audience. The key is to know your audience well, so you know what kind of content to post when to increase engagement. This results in reaching a larger audience and helps you achieve the social media goals you set.